Chase Manning, a fifth grade student at Apple Valley Elementary School, has hopes of being able to participate in the Sixth Grade Honors Orchestra next year. But the music program is in jeopardy because of budget cuts. So they're having an auction to raise funds. It seems like the perfect solution ~ until the cello they're auctioning off goes missing on the day of the auction. In Chase Against Time, author Steve Reifman follows Chase through one full day of school as he tries to find out who stole the cello. He has to confront two bullies, and several friends and teachers as he tries to find the cello before the end of the school day. And at the same time, he needs to practice for his Honors Orchestra audition that is scheduled for that afternoon. The story moves along at a quick pace as we wait to see if Chase can succeed before time runs out. All of the kids and teachers in this book are pretty believable. Chase is a sincere character that I think elementary aged kids can relate to, especially kids who are interested in music. And the story will keep the attention of any kids who enjoy mysteries. I'll definitely be passing this one along to my second grader. 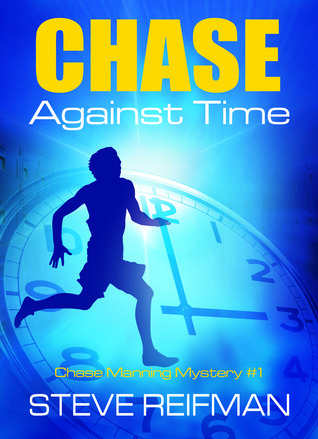 Chase Against Time is an AR level 5.2 book and a level Q on the Fountas and Pinnell scale. While it's a mystery, there isn't any violence, or anything scary or disagreeable, in my opinion, about the story. It's an engaging book that seems like a great start to the Chase Manning Mystery series. Steve Reifman is a National Board Certified elementary school teacher, author, and speaker in Santa Monica, CA. He has written several books for educators and parents, including Changing Kids’ Lives One Quote at a Time and Eight Essentials for Empowered Teaching and Learning, K-8. Steve is also the creator of the Chase Manning Mystery Series for kids 8-12. Each book in the series features a single-day, real-time thriller that occurs on an elementary school campus. For weekly Teaching Tips, blog posts, and other valuable resources and strategies on teaching the whole child, visit http://stevereifman.com. You can follow Steve on Twitter at http://twitter.com/#!/stevereifman.